Fluoxymesterone is a synthetic derivative of testosterone, specifically methyltestosterone derivative (testosterone, which is methylated). Fluoxymesterone is not able to be aromatized to estrogen, and has a very strong androgenic activity.Anabolic power of fluoxymesterone is rated number 1900 and androgenic strength rated with value 850. Having compared these values ​​with testosterone we see how fluoxymesterone has immense power in terms of its anabolic capacity to build muscle as well as its androgenic strength. For comparison, an anabolic and androgen power of testosterone is rated with the number 100. Thanks to this we can say that fluoxymesterone is incredibly 19 times more anabolic and an impressive 8.5 times more androgenic than testosterone. Fluoxymesterone is extremely powerful anabolic steroid, stronger than trenbolone, which is considered the most powerful anabolic steroid conventionally available. Since fluoxymesterone is highly hepatotoxic, and has negative influences on cholesterol profile of blood in health it is only used to treat male androgen deficiency. Although for the same purposes testosterone represents a safer and simpler treatment, fluoxymesterone is today still available by prescription in the United States. Fluoxymesterone has added methyl group at carbon 17 (hence the name derived from 17-alpha) and halo-group on the 9th carbon. Adding a methyl group at carbon 17 is the change that provides the hormone the ability to survive metabolism in the liver, and thus allow a greater amount of hormone to successfully get into the bloodstream. Unfortunately, this modification also increases the rate of hepatotoxicity (liver toxicity). Connecting halogen to any substance is called halogenation. In our case to the testosterone was attached with fluorine (halogenated). 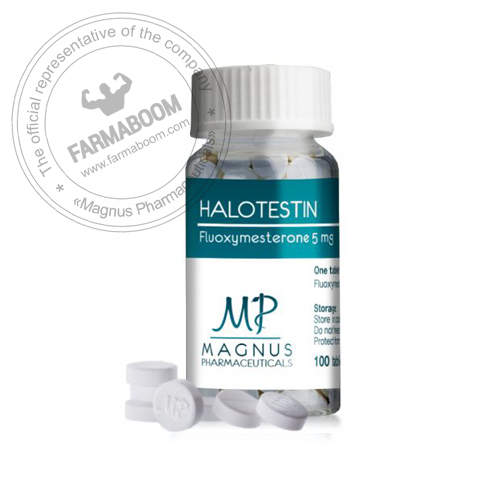 The halogenation is responsible for the massive increase in androgen and anabolic forces of fluoxymesterone compared with testosterone and methyltestosterone.